Firstly, I want to make it clear that I was asked to do this blog post so in no way, shape or form am I trying to show off or brag at what I am about to show. I have been asked by my readers and followers to do this blog post so please do not leave hateful comments or thoughts in my comments below. Secondly, I do admit I have rushed this blog post a little bit which is terrible of me I know but I wanted to get it up today and I have limited time because of so much I have to do today so please excuse the bag quality of the pictures. They were taken on Phil and my bed which isn't the best place to take pictures really due to the lighting and the banner was such a quick make that I know it's rather terrible. I apologise in advance. The first present I opened was from my lovely Auntie Sharon and cousin Ollie. 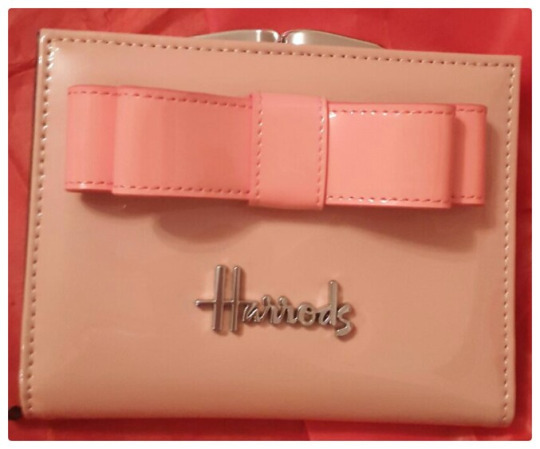 It was this beautiful Harrods purse, in a peach colour and pale pink coloured bow. I adore this! Its one of them presents that I adore so much that I don't want to use it as I don't want to damage it. It's just gorgeous. If you read My Christmas Wants 2015 then you'll have seen this on there. 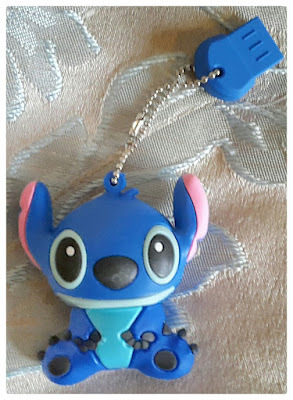 I've wanted my own little portable USB and though we have about four at home already that we use I wanted one just for me that I can back all my blogging stuff up on. Plus this one is so cute! My parents always get me two or three main presents and then a Christmas bag full of stuff. This year they got me a new bag which is by Ted Baker, it's beautiful and massive inside. I can't wait to start using it! I also got a Jo Malone candle from them which smells incredible that I don't really want to light it to be honest. And lastly as a main present they got me Vera Wang's "Princess" perfume. I had the "Rock Princess" by Vera Wang a couple of years ago and loved it so I wanted to try the "Princess" one. They also got me two small wine bottles with chocolates gift sets, a Smirnoff Ice with chocolate gift set, a new hair brush collection set, a owl incense stick gift set, a marshmallows and cup gift set, a wine glass which says "Dancing Queen" on it, a Party Lights light bulb which is amazing (let me know if you want me to snapchat what the bulb is like because it's awesome! 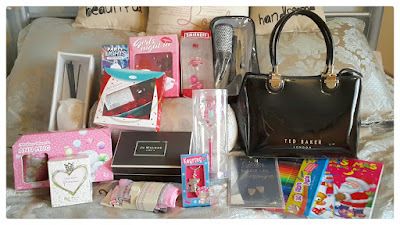 ), a little keyring, two pairs of socks, a beautiful mirrored picture which says "Bight like Glitter, Bubbly like Champagne" and a colouring book with felt tip pens. The colouring book with felt tip pens is something my parents have always bought both me and my brother from when we were teeny babies, it's a family tradition. My parents always give Phil and myself two little couple presents for Christmas. Last year was another set of cups with "Just Married" on them and also they got a car for us. 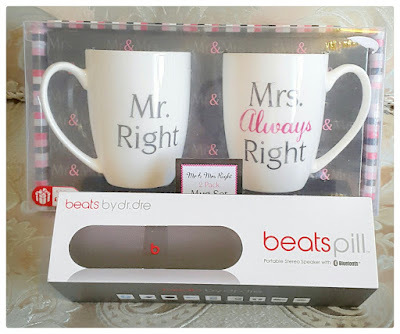 This year they gave us cups again which are so cute and a Beats speaker by Dr. Dre. I can tell that my mum has picked the cups and my dad has picked the Beats Pill. We also got a massive food hamper again from them, we love getting couple gives from them. If you've been following me for a long time you'll already know that my dad is a twin, plus I mentioned it in November when it was my dad and his twin's 50th birthday too. My dad's twin Sean and his wife Berine got me a beautiful smelling Yankee Candle in Ginger Dusk. 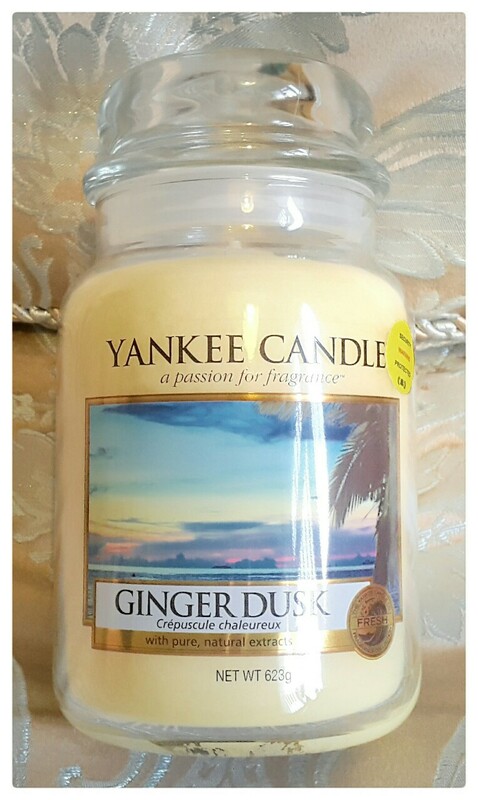 I actually hadn't smelt it until I got this as a present and it's gorgeous! I can't wait to light this baby. My (not so) little brother Moo (not his real name but my nickname for him) bought me a beautiful necklace from Warren James which I have had my eye on for months (this necklace was my favourite thing I received as a gift this year for Christmas, it's just stunning), a Ted Baker purse to match the bag from my parents and a bottle of Chanel No5 as he knows it's my favourite. He's just amazing! 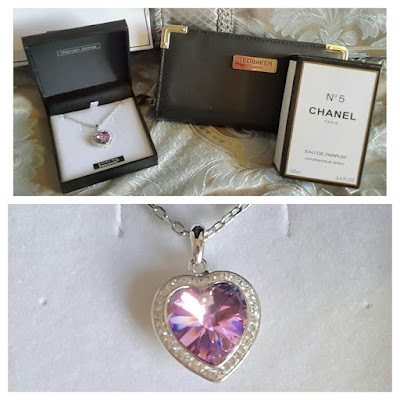 My gorgeous husband Phil was the one who surprised me the most with my Christmas presents this year! He got me something that I have wanted for over ten years which I just haven't got around to buying myself and that was this gorgeous mannequin who I've named Marilyn after Marilyn Monroe. He even got it in blue and cream as he knows that's what colours or bedroom are to match! I was so shocked and surprised when he brought this into me, I can never say that he doesn't listen to me anymore haha! He also got me this beautiful red Chloe bag which I mentioned on My Christmas Wants 2015 blog post. I adore this bag so much! 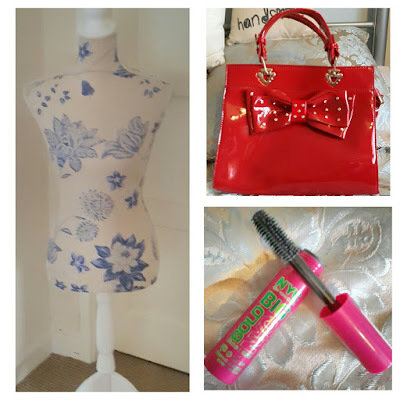 I think the big beautiful red bow is gorgeous and I can't wait to start using this bag. Lastly, he got me a new mascara and I've wanted to try this one so much as I've heard great things about it. It's by N.Y.C. Makeup Cosmetics and is their Big Bold NYC Mascara. I wore it on Christmas day and it just made my eyes look so big and beautiful. I love it! Thank you to my grandparents, uncles, aunties, cousins, other family, and friends who gave me money for Christmas. Obviously I'm not going to put a picture of money on my blog though! I want to say a massive thank you so much to everyone who has taken the time to buy me a present, send me a card or simply just wish me a Merry Christmas this year either online, via my phone or in person. Just knowing that you have taken the time out of your busy life to think of me is amazing so THANK YOU SO MUCH! 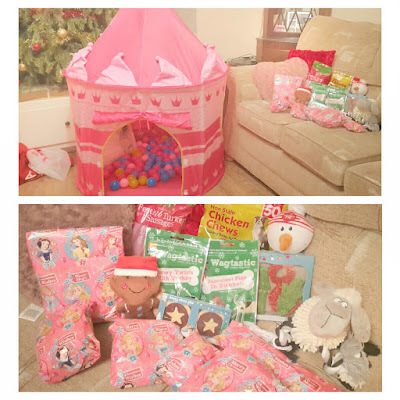 A couple of people have asked me what Phil and me bought Daisy for Christmas as I mentioned on My Tumblr that we may have gone a little over board on her this year. This is what we got her, too much maybe? She's worth it though and it was her first Christmas! I hope you all enjoyed this blog post and I really hope you had a wonderful Christmas time this year. If you would like to see any reviews or blogs regarding anything I have shown above please let me know either by commenting below or by tweeting me.